Williams (undisclosed) was waived by the Bengals with an injury settlement. Analysis: Williams was dealing with an undisclosed injury suffered in last Sunday's preseason game against the Bills. The severity of the injury remains unclear, but the 22-year-old is now free to sign elsewhere if healthy enough to play. Williams injured his knee and will not return to Sunday's preseason game against the Bills, Paul Dehner Jr. of The Cincinnati Enquirer reports. 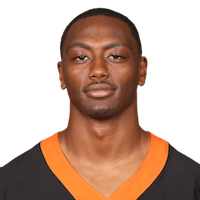 Analysis: The severity of Williams' injury is yet to be determined, but any sort of extended absence likely hurts his chances of making the Bengals' 53-man roster. There are no videos available for Jarveon Williams. Click here to view all videos.